Directed by Gene Fowler, Jr. 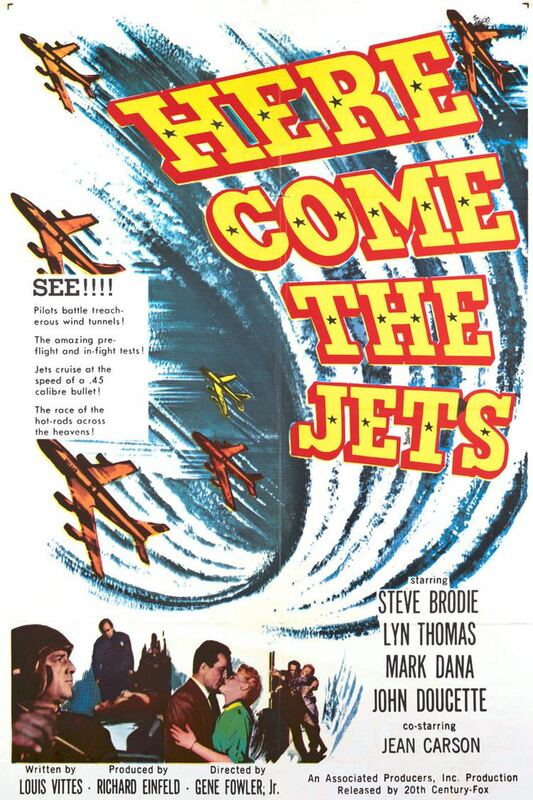 Here Come the Jets is a 1959 American drama film directed by Gene Fowler, Jr. and written by Louis Vittes. The film stars Steve Brodie, Lyn Thomas, Mark Dana, John Doucette, Jean Carson and Carleton Young. The film was released in June 1959, by 20th Century Fox.